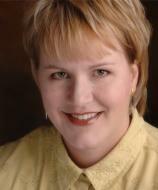 Lisa T. Bergren is the award-winning author of over 35 books, with more than two million copies sold. A former publishing executive, Lisa now divides her time between writing, editing, parenting three children with her husband, Tim, and dreaming of her next trip to Italy. She lives in Colorado Springs, Colorado. For Cora Kensington, the journey of a lifetime takes unexpected twists. And her future --- her very life --- depends on the decisions she’ll make at each crossroad. As her European tour with her newfound family takes her through Austria, France and Italy, an unseen enemy trails close behind. Meanwhile, a forbidden love continues to claim her heart, putting everyone’s plans in danger. It’s our instinct as parents to shield our children from harm. But our true responsibility is to raise children equipped to live well for God even in the midst of struggle. UPSIDE-DOWN PRAYERS FOR PARENTS encourages us to pray for our children in ways we may never have before. By turning our prayers “upside down,” we not only learn to release our children to the care of God alone, we also uncover how our own desires need to be submitted to God’s will. GOD GAVE US EASTER is the latest in the God Gave Us series, which has sold over 1.5 million copies. Easter has come to the Arctic Circle, but Little Cub has some questions. Why do we celebrate Easter? Why did Jesus come? Why did he have to die? Papa lovingly explains the meaning of this very special holiday in clear, simple terms that even the littlest cubs can understand.